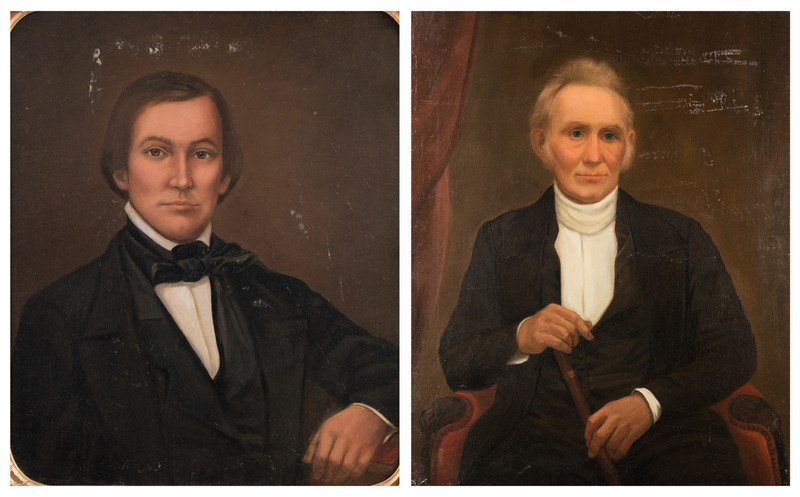 Two portraits of gentlemen, attr. 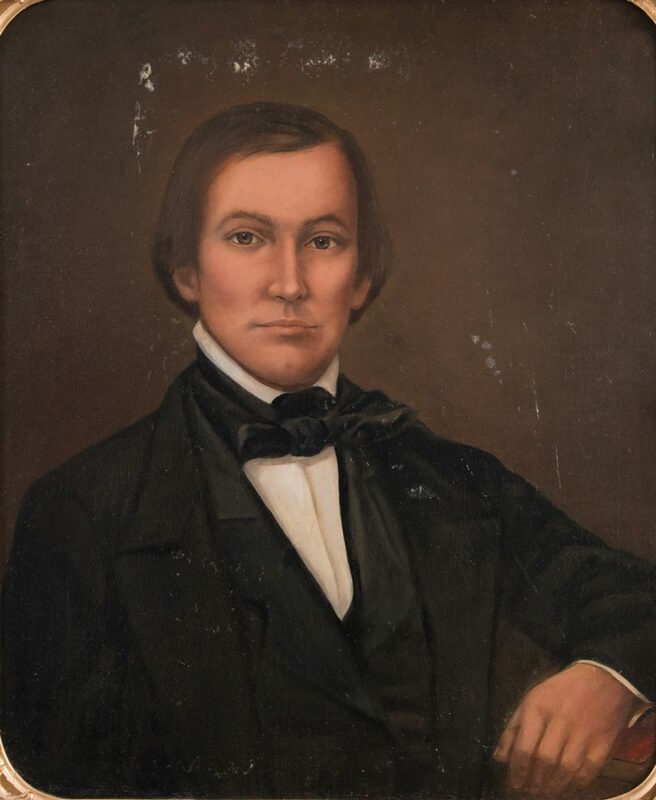 Washington Bogart Cooper (Tennessee, 1802-1888), both mid 19th century. 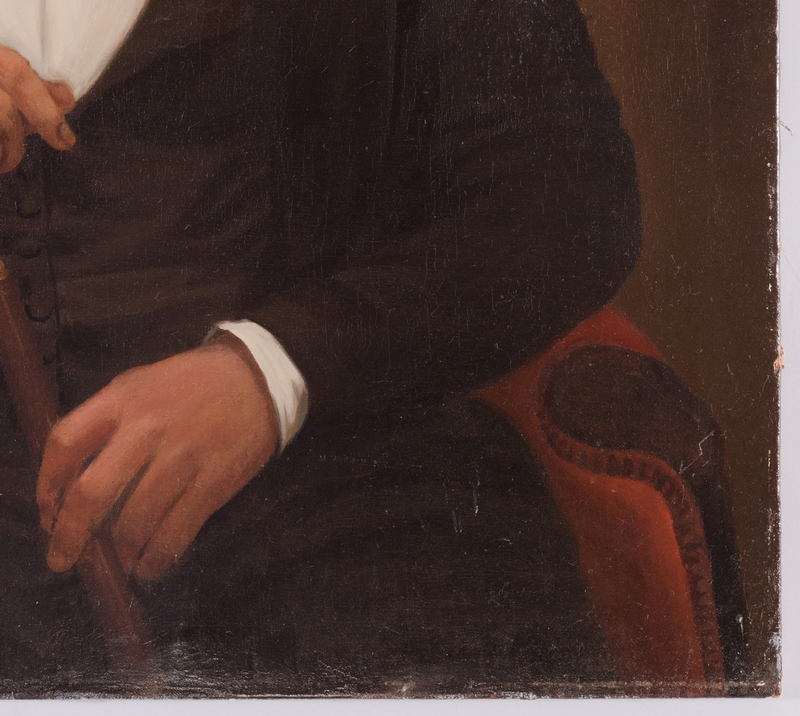 1st item: Portrait of a brown haired man about 30 years of age, with his arm resting atop a book. 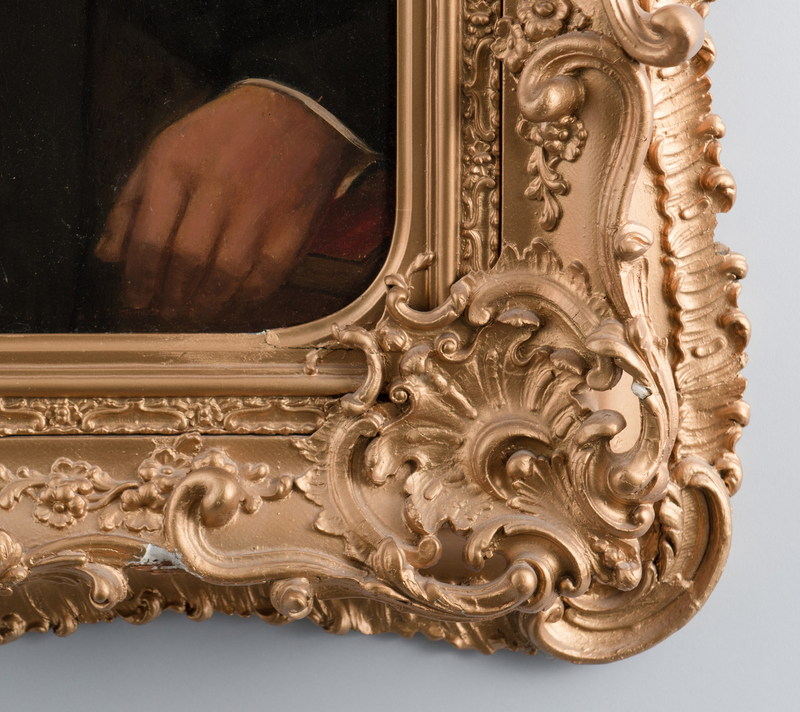 Elaborate giltwood and composition Rococo style frame. 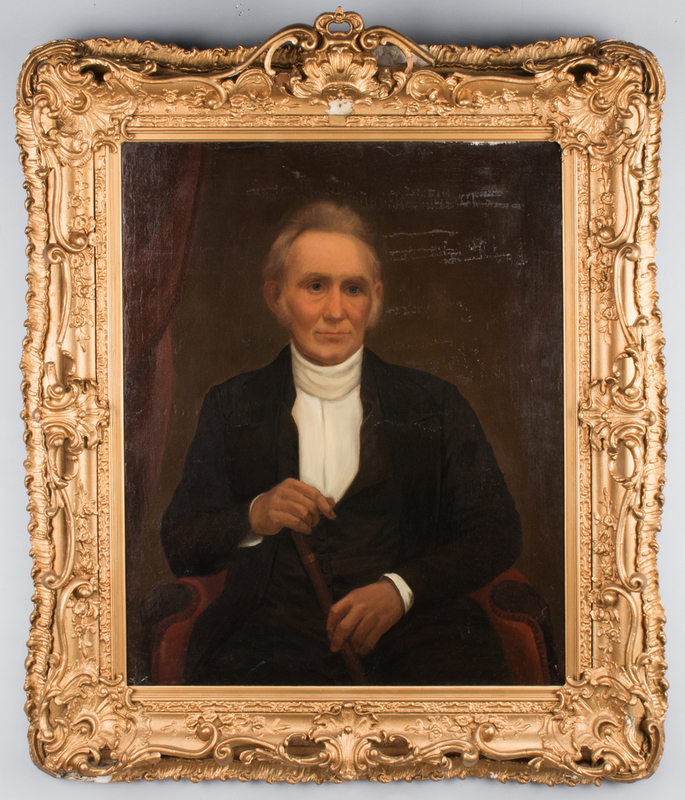 Sight – 29"H x 24 1/4"W. Framed – 45 1/2"H x 38 1/4"W x 5 1/2"D. 2nd item: Portrait of an older man with white hair, seated in a red armchair, wearing a dark suit with white shirt and collar and holding a cane. Inscription en verso: "Born 1776." 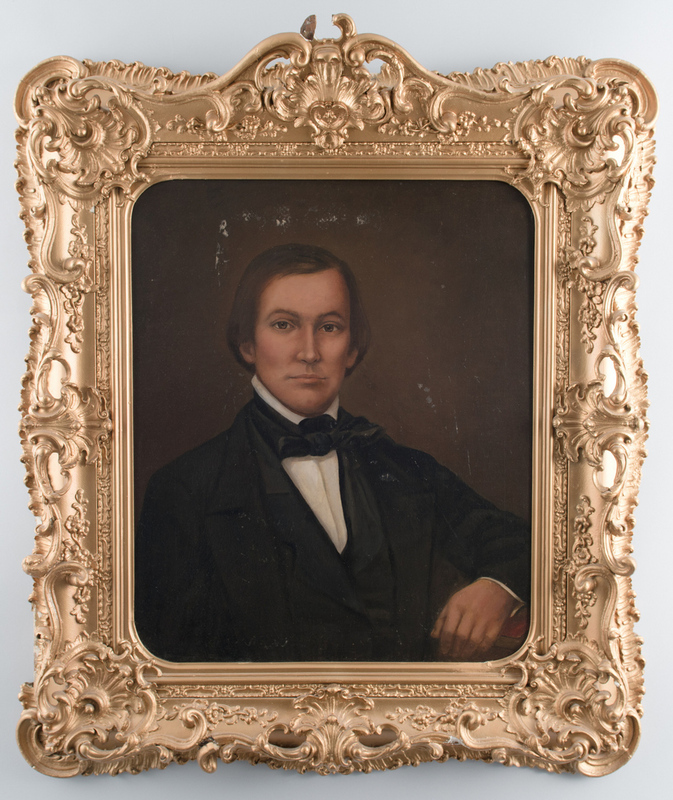 Sight – 35 1/4"H x 28 1/2"W. Framed – 50 1/2"H x 41 1/2"W x 3 1/4"D. Note: the identity of these subjects is not known, but they have descended in a longtime Nashville family with ties to the family of Confederate General Benjamin Franklin Cheatham and Nashville founder James Robertson. 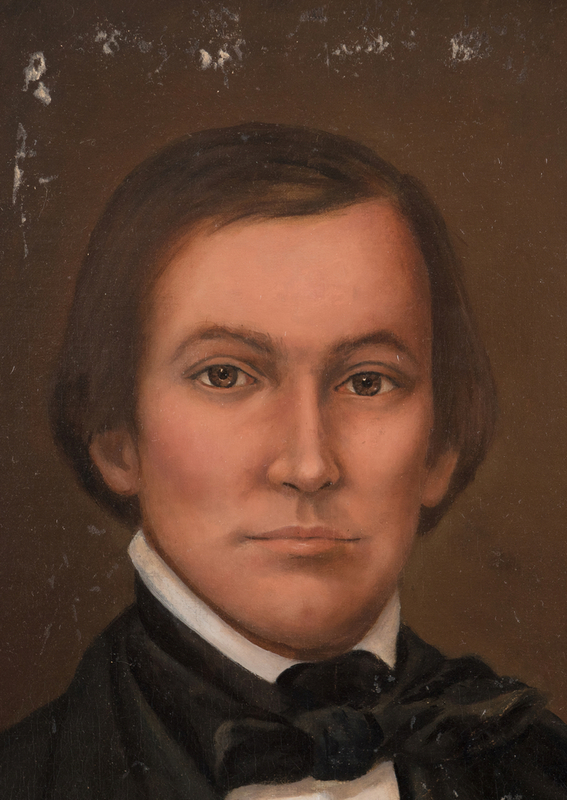 The older subject bears a resemblance to Felix Robertson (b. 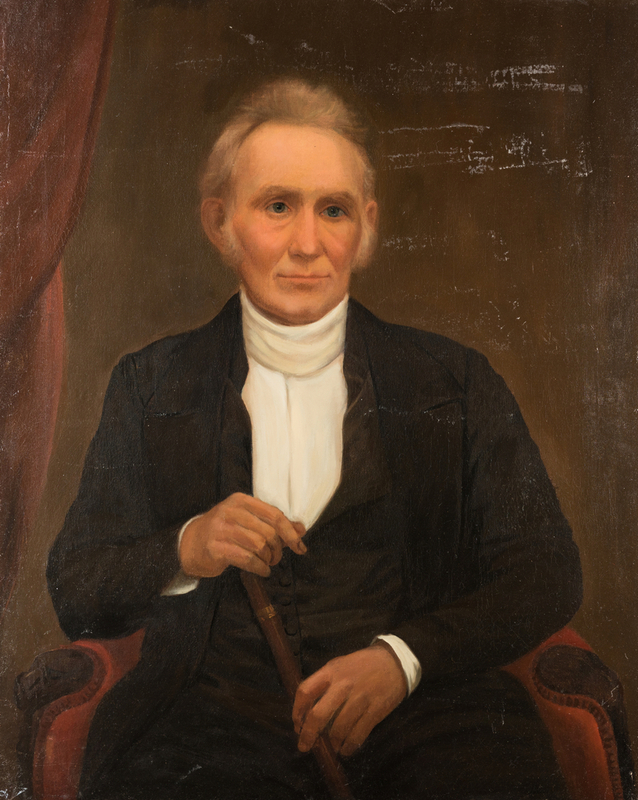 1781-d. 1865; purportedly the first white male child born in Nashville and later mayor of Nashville, 1818-1819 and 1827-1828). 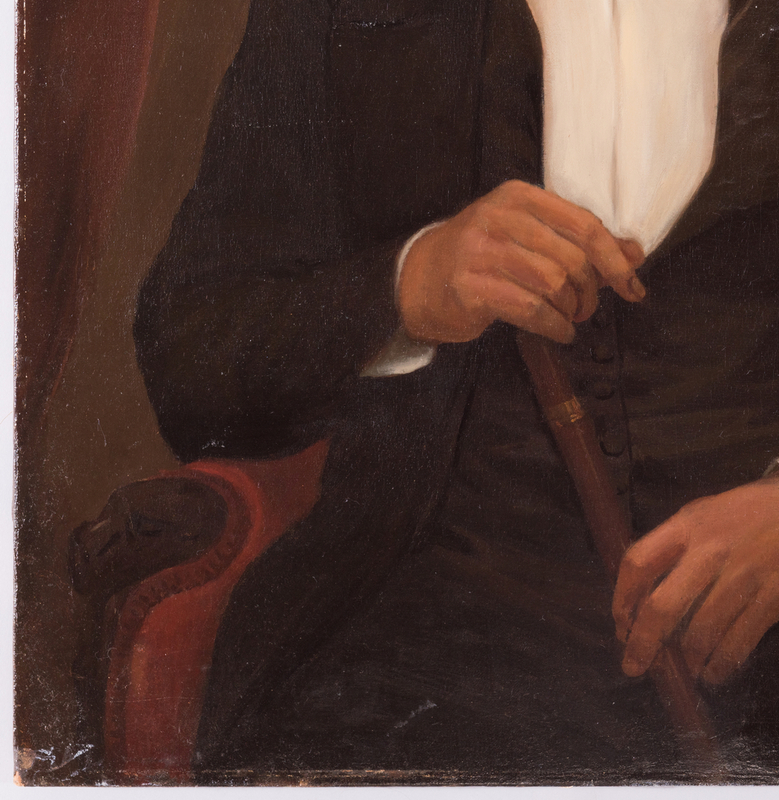 CONDITION: Several spots of a paper-like substance appear to have adhered to the varnish layer in the backgrounds above subjects' heads and in the right quadrant background, most like reversible with cleaning. 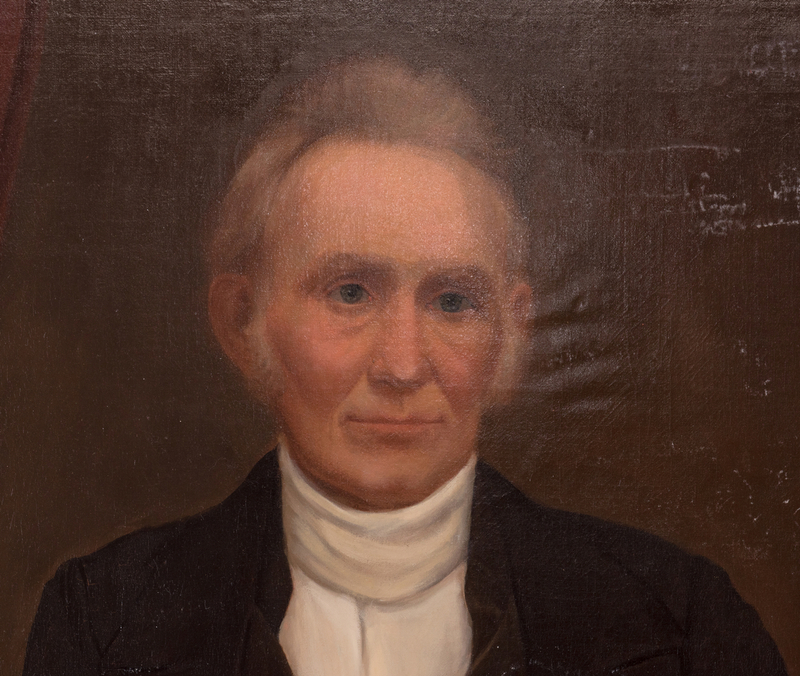 Younger subject: Scattered spots of overpaint and to a few spots on suit. 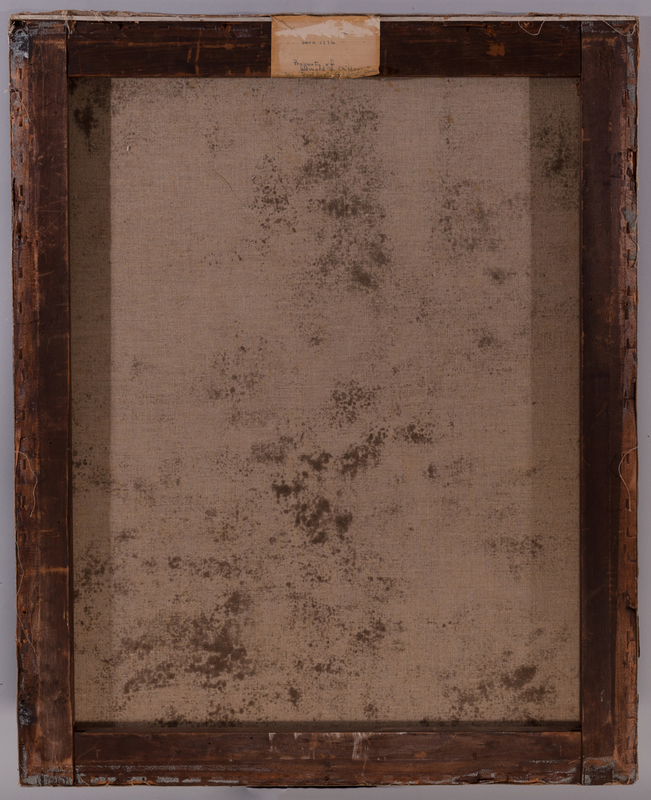 Light craquelure. Relined. 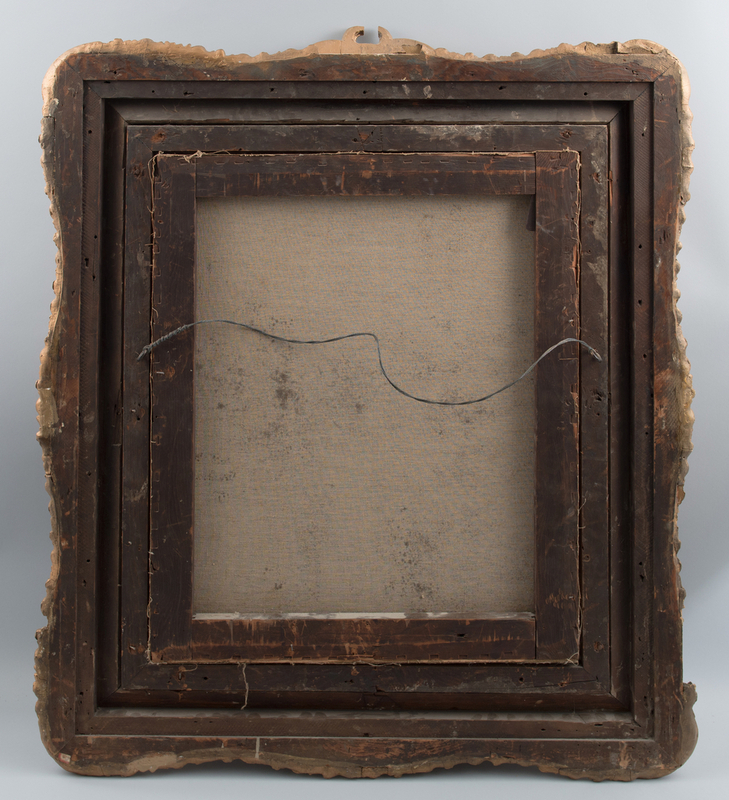 Frames have been repainted and on younger subject the frame has a 9" area of loss to upper back edge and a 1 1/2" loss at crest. Other scattered minor losses and repairs. 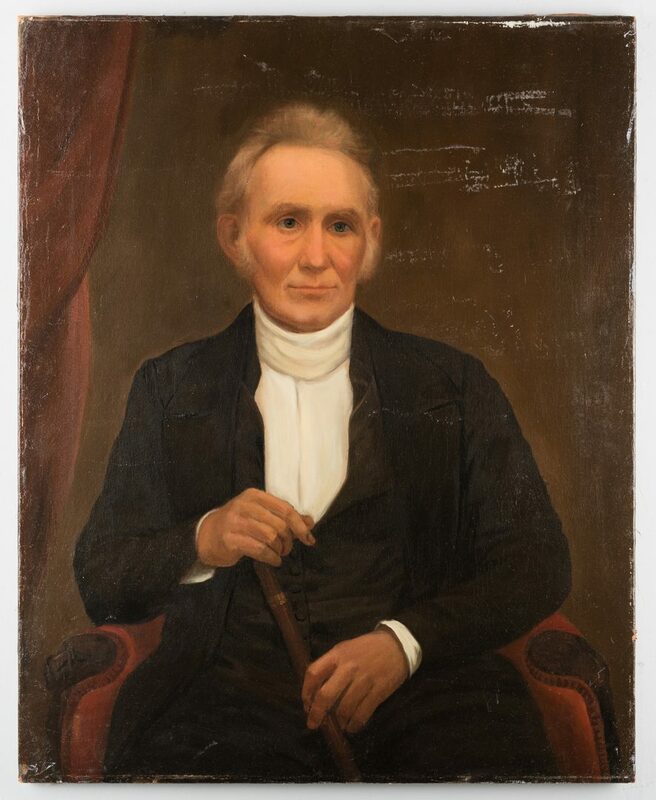 Older subject: Unframed, overall good condition with the exception noted above.